Sacred boat on the tomb's wall. Decorated stone in the tomb. 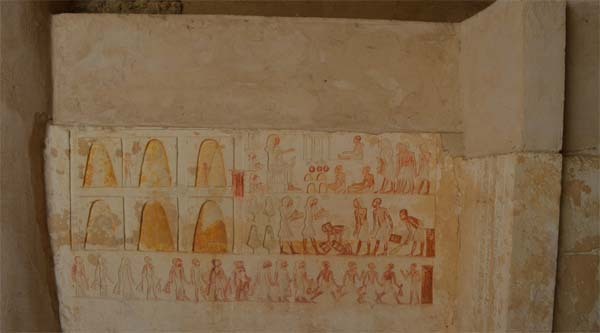 Wall decoration of the tomb. Scene with a sacred bark. Second chapel of the tomb. 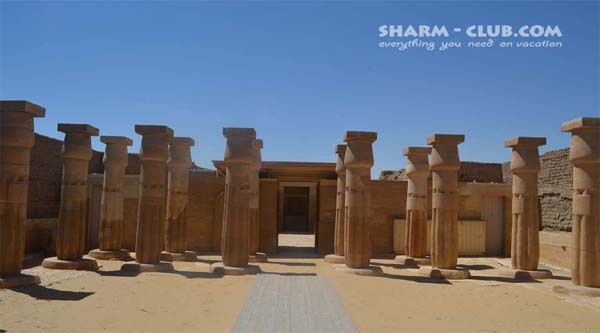 His tomb was built between 1350 and 1325 BC. As a consequence of the different religion orientations of the masters he served, the reliefs and wall-paintings in the tomb show several distinct styles. Corrections made to the inscriptions giving Meryneith's titles further reflect the political changes of the period. For his subterranean tomb chambers, Meryneith reused part of the underground complex of a Dynasty II royal tomb. After his death, the tomb was usurped by another official named Hatiay. The tomb is built of mud-brick encased in limestone blocks. 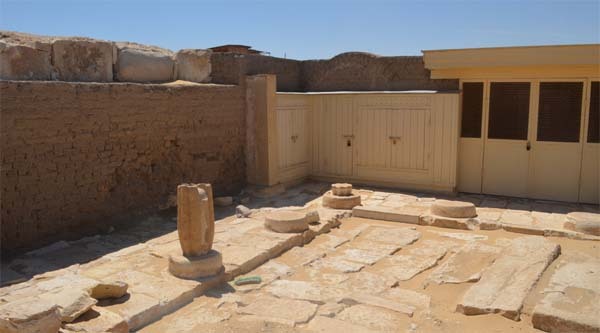 In the very back of the temple there are three cult-offering chapels to Meryneith. The central one shows a scene of metal workers and the bases of two small columns. A mud-brick pyramid may have originally stood here. The tomb of Meryneith was excavated in 2001-2003 by a joint expedition of the National Museum of Antiquities in Leiden and Leiden University, under the auspices of the Supreme Council of Antiquities of Egypt. A seated double statue of Meryneith and his wife Aniuia found in the tomb was taken to the Egyptian Museum in Cairo at this time. 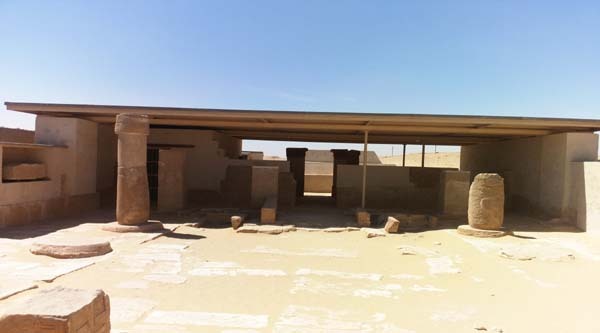 In 2004, the tomb was enclosed within a modern structure for its long-tern protection. In 2016 still under reconstruction.